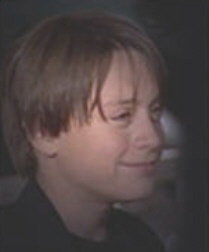 Here is a quizz on Kieran Culkin. There is not a lots of questions, but i intend to change the quizz each months (as long as will be possible) and try to put more questions. The name of the participants will be listed at the bottom of the page, with their results. I will check your answers and report the results back to you. Who plays Kieran's best friend in the upcoming movie "The mighty"? Where was located the set of the movie "Amanda"? Name 2 movies in wich Kieran appeared with his brother Macaulay. What's the name of Kieran's best friend in the regular life? How many students per class can we find at the Professional childrens school? Name the title of the two movies that are coming up next year for Kieran? what Kieran likes to do with his brothers? Is Kieran plan to follow in Macaulay's footsteps and become a teen groom?